The turnover TO 9216 is used in front and back printing systems, positioned after the first printer to invert and pull the continuous form. 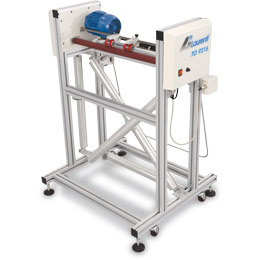 It can also be installed before a longitudinal cutting equipment or transversal cutter. It has its own motor and form traction control – analog/digital system – that synchronizes the printer’s paper output signal, not enabling gaps or excessive tension on the paper. A sensor for conversion from analog to digital signal monitors the paper pressure and speed, compensating the best traction speed and calculating the exact point for stopping.